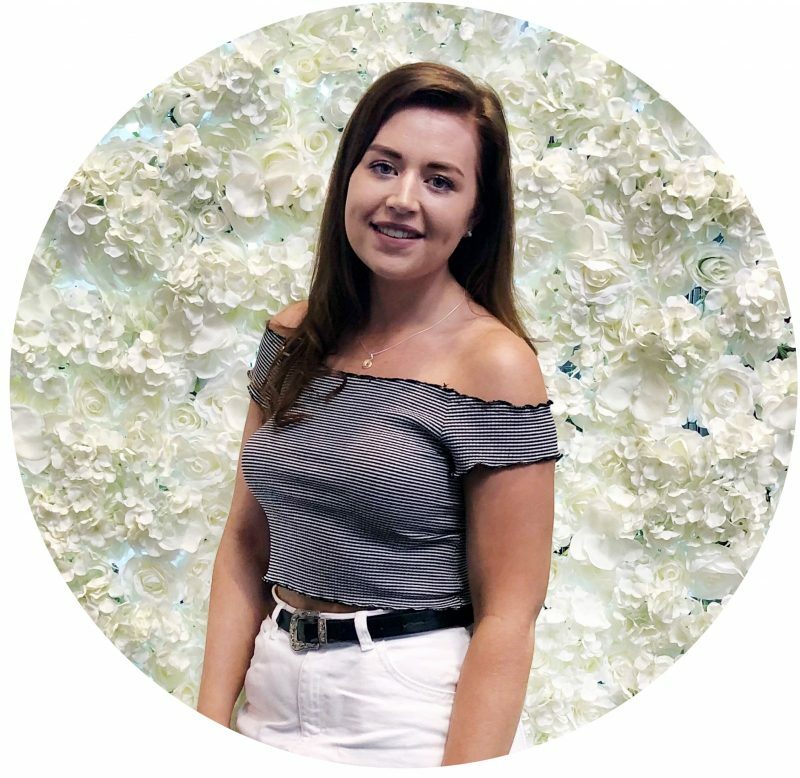 If you’ve been a long time follower of my blog then you’ll know how much I love my hair care, as i’m constantly switching up the products that I use in order to find the ones that work the best for my hair as you all know my hair is not naturally brunette. What is great about getting to try out new products, means I get to discover brands that i’ve not heard of before and in turn this means I can introduce these brands to you guys also! 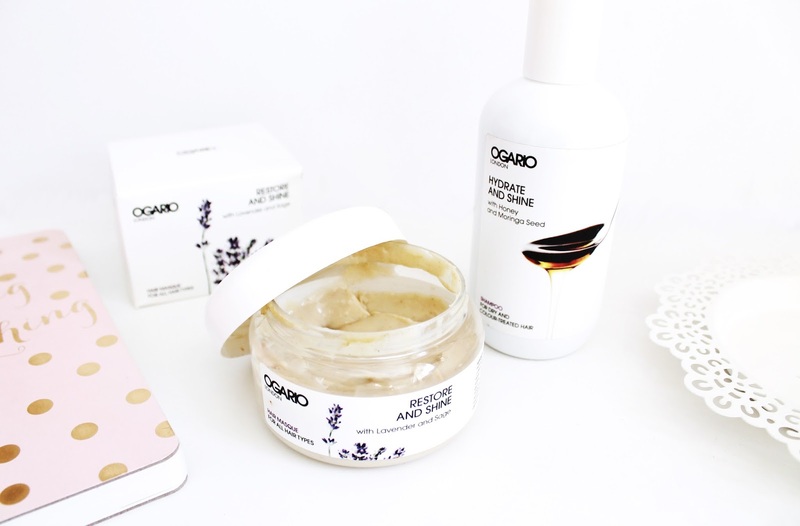 A hair care brand i’ve recently been trying out a couple of products from is Ogario London, who i’d never heard of before but after looking into them a little got me really intrigued and excited to see what their products would be like. What I really liked the sound of was how individual their products are, with blends of natural oils and plant extracts that feature in each of their hair products, that you typically wouldn’t find in every hair care product on the market. For a good couple of months now i’ve really been putting their products to the test and so far i’ve been left so amazed that I no doubt will be repurchasing these products. Firstly is the Ogario Restore and Shine Hair Masque* (£28.50) that is designed to restore dry and damaged hair in order to make it obviously less dry, but generally easier to manage, stronger and also shiny. For someone who’s hair is fairly damaged and dry this hair mask has really impressed me so far. I usually use this at least twice a week, slathering the ends of my hair and leaving it to soak in for a good 10 minutes or so and it just leaves my hair feeling so soft, and shiny! What I really love about this hair mask is the scent, it has a lovely lemon zesty lavender scent that just smells incredible and leaves your hair smelling amazing! As you can see this product is well loved, as i’ve used more then 2/3rd’s of the jar and it’s definitely a hair mask I would highly recommend trying out! Moving on the Ogario Hydrate and Shine Shampoo* (£16.50), which is targeted towards hair that is dry and colour treated hair, which describes my hair perfectly! This shampoo contains honey and moringa seed, which I find has been working wonders on my hair and gives my hair a lovely natural looking shine. What I like about this shampoo is that it doesn’t lather up too much, as I find shampoos that lather up tend to leave my hair feeling really dry and stripped, but this product does the opposite leaving my hair feeling nourished and soft. Again this product has a lovely natural scent to it, that leaves my hair smelling amazing and I often catch myself sniffing my hair afterwards because it smells that good! All in all since using these products i’ve really noticed a difference in my hair and since having my hair stripped a couple of weeks ago i’ve been reaching for these products more and more! Have you tried any new hair products recently?